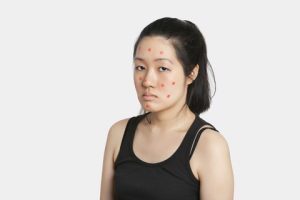 It might be that it’s been decades since you’ve thought about measles, since it hasn’t been a childhood illness in a long time—or you might be following headlines, and are concerned about the recent outbreaks as measles gains new footholds. Wherever you are, be prepared for possible exposure to measles with immune support from colloidal silver. Pockets of unvaccinated children have lead to measles outbreaks across the country; over the last few years, those pockets have blossomed to much bigger, wider, and self-sustained outbreaks. According to WHO, measles outbreaks are up 30% (although still lower than they once were). What’s allowed measles to gain traction? While it started with people forgoing the vaccine, it’s been able to spread into other parts of the community. Because like-minded people tend to live together, it creates a wider window for measles to come in through—then those who are unable to have vaccinations due to chronic health conditions, those who didn’t receive immunity from the vaccine (only a few in 100, but in a community of hundreds of thousands a not insubstantial amount). So if you’re in an area with many unvaccinated children, you’re at an increased risk, even if you’ve had the vaccine. Watch for public health alerts. During this time of year when more people are moving through communal places like airports, malls, and tourist attractions, health officials are releasing locations names when infected individuals wander through. If you have a weakened immune system and know you’re at risk, consider keeping a journal of where you go and when. Measle symptoms take about two weeks to appear, and resemble the flu (with the addition of the standard measles rash). Cough, fever, mucus, and a sore throat as well as severe malaise may mean measles. If you think you could have been exposed, treat it more seriously than the flu (so if you wouldn’t normally see a doctor for flu, call or make an appointment). Make sure to take all those normal, easy precautions like hand-washing, staying home when you’re sick, and supporting your immune system with adequate sleep, nutrition, and a boost from colloidal silver.